The machinery of the act is a Liquor Board, the administrative staff and an inspectorate. All applications are considered and decided by the Board, though in practice the administrative staff assumes powers of decision-making in respect of applications which it does not have and are in conflict with the reported cases of the High Court, such as that an application is not compliant and/or that additional information and documentation must be provided even though it is not prescribed in the legislation, such as identity documents, etc. The Eastern Cape Province – ECP – was the first to introduce its own legislation and it is contained in provincial act 10 of 2003, the regulations thereunder and the amendment to the regulations. The legislation is the closest to the requirement of being simple, cost effective and compliant with the norms and standards for provincial legislation. There is no specific date on which an application must be lodged and there is no duty to advertise except for notifying the ward committee member of the ward of the local authority in which the premises will be, of the intention to apply. The advertising is handled by the Board and its administration. The legislation also creates an internal appeal process which one must first exhaust before you can approach a court of law in respect of a decision of the Board. The Act does not have various types of licences, only on-consumption, off-consumption or on- and off-consumption. Furthermore all grocer’s wine licences have been phased out and it is no longer possible to sell wine in a supermarket. 2. (1) Application for registration must be lodged with the board. (b) declare under oath or truly affirm at the end of the said form that the information contained therein, is true. (f) such documents as Form 1 may require to be attached to the application. 3. (1) An applicant must within seven days of lodgement, serve a notice substantially in the form of Form 2 of Annexure 2 on the ward committee of the area where the premises are situated, every governing body of every educational institution and place of worship within a radius of 100 metres from the premises in respect of which the application for registration is made. (3) A ward committee contemplated in sub-regulation (1) must, within thirty days of receipt of the notice, submit a report on the consultation with the community to the board and to the relevant municipal council. All applications must be lodged in East Londen at the offices of the Board and the administration administers the process from there. At this point in time the application fees and renewal fees are still very reasonable though amendments do take place by regulation from time to time. The renewal process is still a fairly simple administrative process which must take place before end of December of a year with two months of grace and penalty also provided for, as was the position under the old legislation. All payments must be made into the banking account of the Board and it is advisable to phone to make sure of the payment reference to be used to ensure your payment is traceable within the system. The ECP Act also allows for the transfer of a licence from one name to another and the removal of a licence from one address to another and the sections dealing with this is section 25. (iii) if the disclosure is in compliance with the provisions of any law. (d) not to take delivery of, distribute or keep in stock liquor of a particular registered manufacturer. (1) No registered retailer may accept delivery of any liquor which has not been ordered by such retailer. (2) No registered person may fix, maintain or establish the price at which another registered person must sell any liquor. (3) No registered manufacturer, officer or director of any registered manufacturer shall be the owner, proprietor or lessor of any premises covered directly or indirectly by any wholesaler’s registration. (4) No registered manufacturer or wholesaler may, either directly or indirectly, give or lend any money or make any donation in cash or in kind to any retailer for the purposes of equipping, fitting out or maintaining and conducting, either in whole or in part, or the establishment of a business operated under a liquor retail registration, except the usual and customary credit for returning packages or containers in which liquor was packed for the market by the manufacturer. (i) allow prostitution and drug-trafficking on registered premises. (c) an act or omission, whether lawful or unlawful, of the nature charged on no condition or under no circumstance fell within the scope of the authority or employment of the manager, agent, employee or member concerned, and the fact that the registered person issued instructions whereby an act or omission of that nature is prohibited must not in itself be sufficient proof that he or she took all reasonable steps to prevent the act or omission. Finally it is important to remember always to read the legislation and regulations together and strictly to comply with prescribed forms and particularly directives for completing the forms if contained in the form, usually out the outset or the end thereof. Whom may apply for liquor license? Any person over the age of 18. An individual of sound mind. A company or close corporation registered in terms of provisions of the Companies Act. A Trust, in which the majority of the trustees having the controlling power, are South African citizens or a Trust in which the Majority of the beneficial interests are held by persons who are South African citizens. A partner, co-director, co-trustee or beneficiary of any person, who in terms of the Act, is qualified and competent to register. On-consumption: Patrons consume liquor on the premises e.g. restaurant, night club, hotel, lodge, ect. Patrons are therefore not allowed to leave with liquor. Off-consumption: Patrons buy liquor to take away e.g. 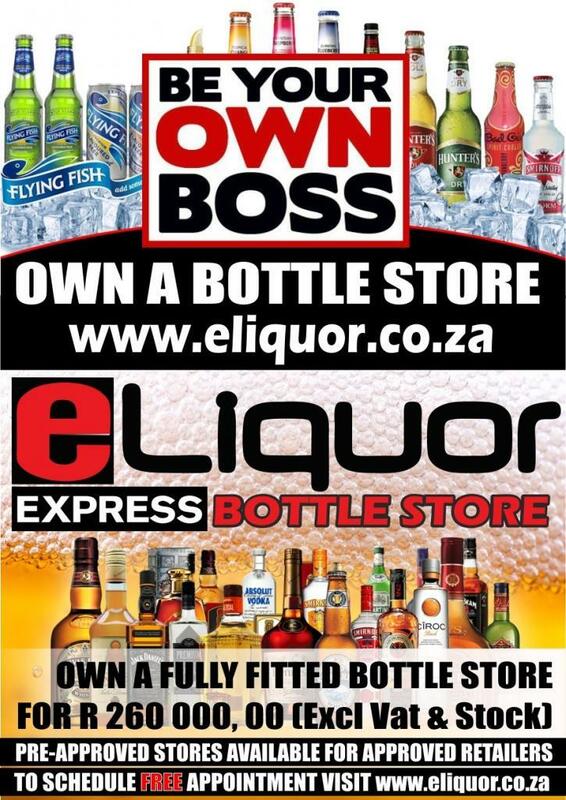 bottle stores, or any establishment that does not provide for the seating of patrons and consumption of liquor within the premises. On and Off consumption: Patrons either consume what they bought on the premises or take away to consume elsewhere e.g tavern. Special event: Issued to sell liquor at special occasions e.g. fundraiser,weddings, charity events and festivals. Micro-manufacturing: Issued to liquor manufacturers producing amounts of liquor that are below a specified threshold. Form 25 in respect of an application for the procurement of a controlling interest in the business to which the certificate of registration relates. Proof of notice of service to the ward committee, together with the attendance register as proof of community consultation (Form 2/ Form 8/ Form 12). Proof of notice of service to the place of worship and/or educational institution situated within 100m radius of the premises. Structural plan of the premises clearly indicating the dimensions of the premises, windows, storage area for liquor, display areas for liquor and counter at which liquor will be sold. Description of premises and/ or photos. Comprehensive written motivation (reason for application in support of application detailing reason and contribution to socio economic impact). Proof of right to occupy the premises (Title Deed/ Lease Agreement / Consent by Headman in the event of premises being in a rural area). Certified copy of identity document of applicant or members / directors where the applicant is a juristic person. Tax clearance certificate in the case of juristic person being applicant. In the event of applicant being a partnership / close corporation / company, certified copies of registration documents/ partnership agreement is required. 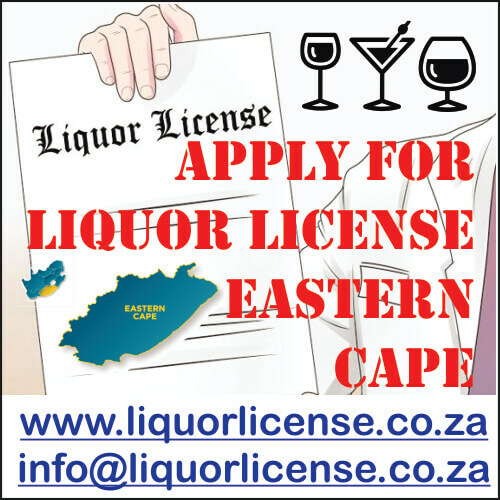 Hence the Eastern Cape Liquor Board wishes to notify all Liquor License holders that the annual renewal fees for the following year are payable on or before 31 December. If the fees are received after 31 December, the fees payable shall be increased by 50% and if the fees are received after 31 January, such fees shall be increased by 100% Please note that no fees shall be accepted after 28 February therefore, your liquor license shall lapse. You are further advised that in terms of section 26(4) of the Eastern Cape Liquor Act 10 of 2003, that a registered person who has not received a notice does not absolve such registered person from the duty to pay the annual fees timorously. For inquiries, please contact Luleka Soci by phone on (043) 700 0900 or via fax on (043) 726 4101.